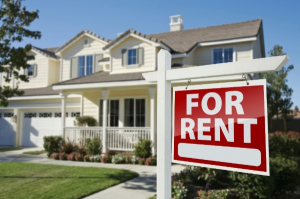 5 points to ponder if you’re giving your property on rent. 1. CREDENTIALS – Check the credentials of the person you are renting out your property to: check the I cards, bank statements, previous history, etc. 2. REGISTRATION – Make sure proper registration has been done and stamp duty duly paid. In the event of rent agreement, less than 12 month registration is optional, but do not evade the stamp duty. Consider it your insurance against any foul play. 3. POLICE VERIFICATION – Take his permanent address and on the basis of this, please get a police verification done. 4. PDCs – Take Post dated cheques/Neft Mandate for lock in period. This will not just reduce any chance of argument later, but also remove a big headache as a landlord. 5. POINTS TO INCLUDE IN YOUR LEGAL AGREEMENT – Make sure you have defined the period of lease and rights of re- entry. The termination clause and purpose of usage must also be clearly defined. Further, in the event of unauthorized occupation, misuse charges must be levied on a per day basis.